Follow Start > All Programs > DVDVideoSoft > Programs > Free DVD Video Converter or just click the DVDVideoSoft Free Studio icon on the desktop. The interface is very simple and self explaining. There is a field to select a drive with DVD and a field for the output path. 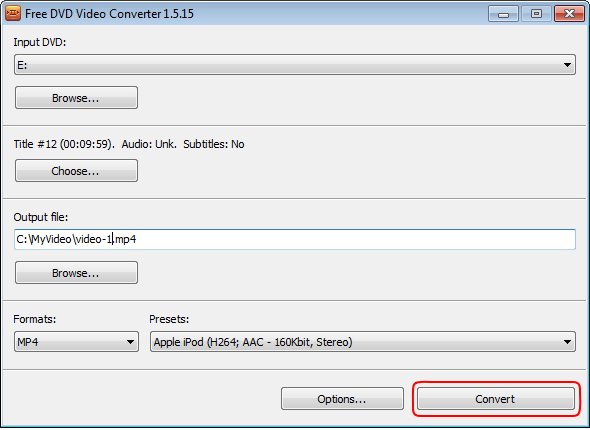 Click the upper Browse... button and select a drive with DVD or a DVD folder, which you want to convert to AVI, MP4, MKV or to MP3 audio only. Our program doesn't convert protected DVDs due to the copyright law. A usual DVD Disc contains several titles. Click the Choose button and select the title(s) you want to convert. 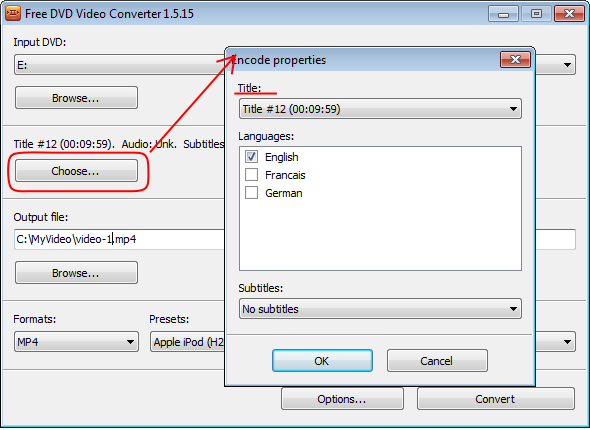 You can also set the available languages and subtitles which will be shown in your Media Player. Click the lower Browse... button. Choose the location where you would like to save your converted files. 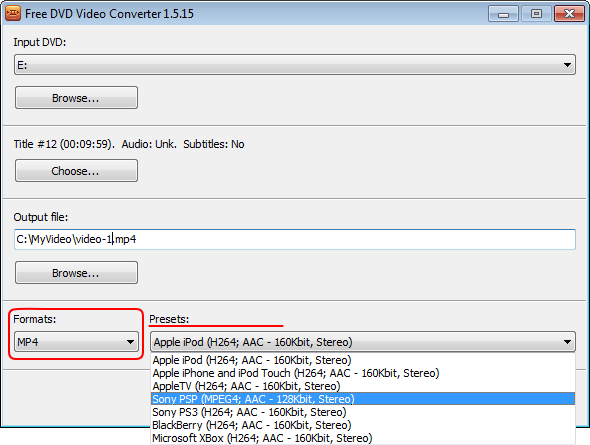 In the list of Formats select one of the available formats: AVI, MP4, MKV or MP3 audio only. You can also specify the presets. 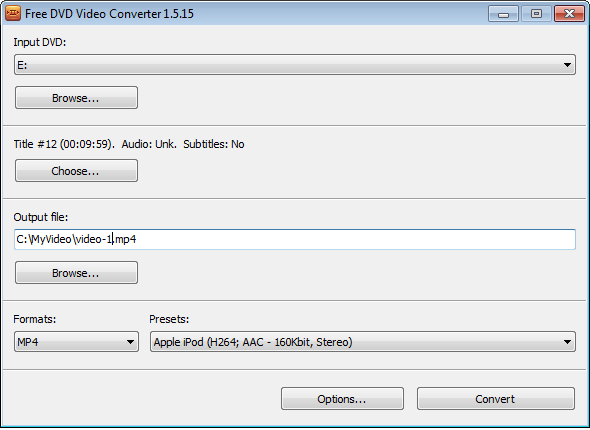 For example for MP4 they are optimised for playback on iPod, iPhone, AppleTV, PSP, PS3, BlackBerry, Xbox or just your computer. When you are ready, click the Convert button along the bottom of the interface and wait just a few minutes.